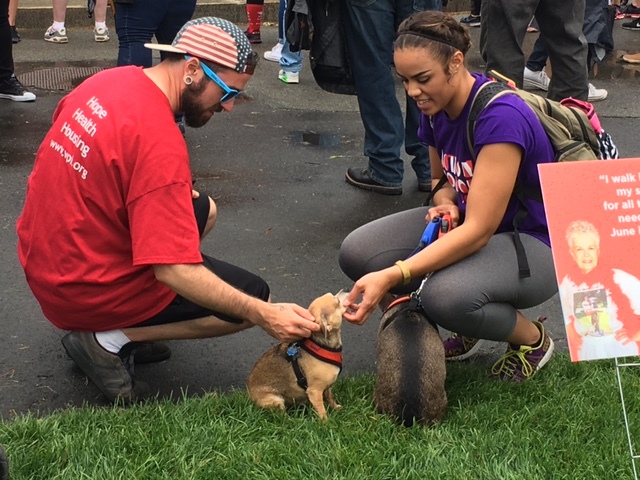 On Sunday I attended the 5K Boston AIDS Walk that finishes at the Hatch Shell along the Charles River. Years ago when I was a School Counselor, I’d bring our group of LGBT students and friends to the Gay Pride March, which took the same route. I experienced the same feeling of connection that I remembered so vividly from years ago. There is something about a cause that gathers people (mostly strangers) in the spirit of love and deep caring that gives me the chills – the good kind. I believe the feeling is community, something I’ve personally been searching for during this period of my life. Many people find this in their spiritual communities, or they may live nearby to close friends and family, which creates organic connection. Of course, finding others with the same interests and values is key, but it doesn’t always translate to community. There’ve been times in my life that I’ve felt that deep connection – my summers in Vermont as a teen, during college, mothers groups when my children were young, and when I worked for an organization or a school. Even now I have a tribe of fellow colleagues, though we’re all over the world. These days I feel a bit un-tethered. Our kids are grown and launched and as a solo practitioner, it takes effort to connect with friends, family and colleagues. In this culture we are so scattered about. Creating community takes work, and for an introvert like myself, it can be exhausting. I was especially tickled on Sunday to see so many people with their dogs at the Hatch Shell. It’s amazing how animals create ease between strangers. I showed the photo above to the two people featured and they both asked me to send it to them (I actually sent it in the same text, just in case they wanted to get in touch!). So, my questions dear readers are: How do you find and/or feel connection? What does community mean to you? I have some ideas of my own, but I want to hear your voices! Please share your thoughts/tips and feelings about this.